Finding Nemo – The Musical is our choice for #Day18 in our #DisneyWorldCountdown! Welcome to #Day18 in our #DisneyWorldCountdown! 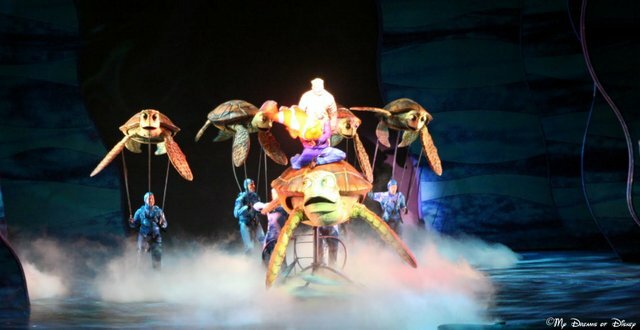 Today we are taking a look at one of the best shows on any Disney property — Finding Nemo – The Musical! This is a family favorite, it’s a great blend of characters from the movie, skillfully maneuvered by the extremely talented Cast Members on the cast, and it does a great job of keeping true to the movie. During the show you’ll meet Marlin and Nemo and Dory and Bruce and Dude Crush and Squirt and Mr. Ray and all of your other favorites! “Hello, my name is Bruce.” The way he says it is one of my favorite lines in Finding Nemo – The Musical! In addition to Bruce, you’ll also meet Chum and Anchor as they have their “meeting” with Marlin and Dory. 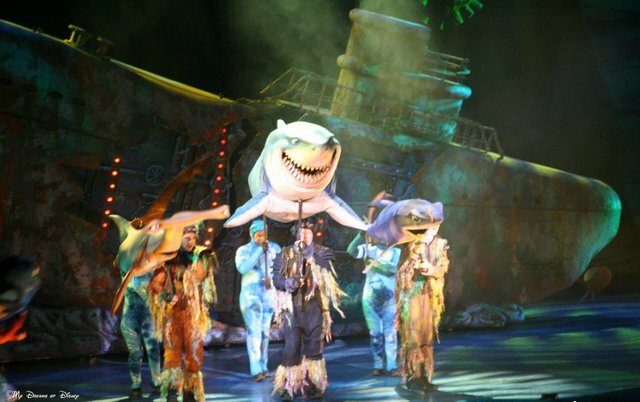 Dude Crush tells us all about the EAC in Finding Nemo – The Musical! One of my favorites is Dude Crush and all the other sea turtles. Dude is so cool, every time I see him I get a smile to my face! 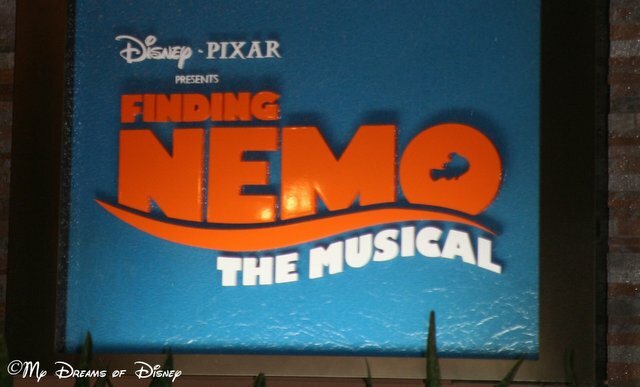 What do you think of Finding Nemo – The Musical? Like it, skip it, must see it every trip to Animal Kingdom? One bonus — especially during the summer months — is that the theater is a very cool, relaxing place to watch a show and get out of the extreme Florida heat! Let me know what you think, please, and thanks for stopping by!